Millions of party buses are rented each year by girls looking to have fun or to celebrate their final days as a single woman. The average bride spends a great deal of money on transportation on her special day, so it’s imperative for her to rent a top-notch party bus or limo. Bachelorette parties are the last hurrah before you join other married women in a chaotic lifestyle. Why not spend it driving around wonderful, in a roomy, classy, and fully-serviced party bus. Use these simple tips to find the perfect party bus. In most cases, the sooner, the better. There is a big demand for party buses so if you want to ensure transportation for a certain day, book now. This is especially true if you’re heading to Las Vegas on a busy holiday weekend or during special events. If you want the best selection of transportation, be sure to call ahead of time. Party buses operate similar to limousines; therefore, it’s generally okay to bring beverages of your choice for your group. Many women prefer to drink on the bus before heading to a nightclub or after dinner. This is a great way to loosen up for a memorable night of fun in Las Vegas. How Many People Can a Party Bus Hold? Party buses are extremely roomy and can hold a large group of your friends – making it the perfect mode of transportation for bachelorette parties. Most party buses have the ability to hold up to 24 passengers. These capacities of course are recommended numbers and the party bus may be able to fit more or less. Do I Need to Know Exactly Where I Want to Stop? 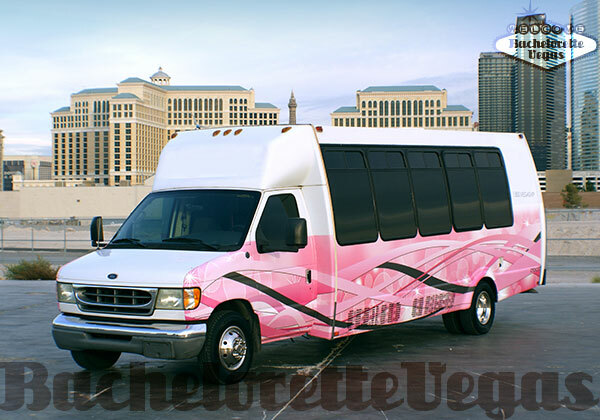 The great thing about a party bus or limo is that you can go anywhere you want in Las Vegas, without a prescheduled plan of events. Want to stop for dinner? Grab a drink at the bar? No problem. Simply tell the driver where you would like to go and they will take you. What Amenities Will I Receive on the Party Bus? 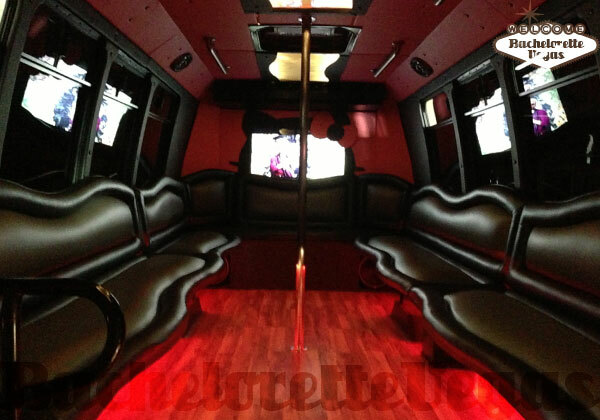 Party buses are filled with great entertainment and the best amenities. Want to listen to your own music – your favorite songs? 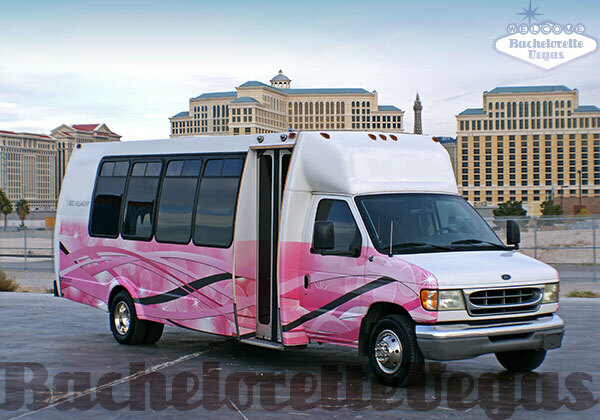 Many Vegas party buses come with your own DJ, as well as a premium sound system. There will also be stripper poles, plasma TV, CD/DVD player, PlayStation 2, and club lighting. While you can bring nearly anything you’d like with you onto the party bus, it’s recommended that you pack light to make travel more enjoyable. Digital cameras are always a good idea to ensure your voyage is memorable. Bring your favorite music, including CDs, an iPod, or MP3 player. Feel free to bring a few snacks too. 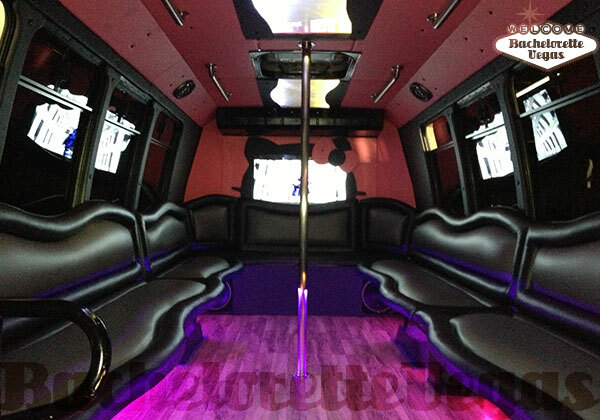 Party buses are one of the best ways to celebrate a much-needed girl’s night out or unforgettable bachelorette party. You know you deserve it.